Do you remember that time when I tatted the Doctor’s TARDIS? Well, that was almost two years ago (how time flies!! ), and my fetish with all things Doctor Who has only grown and matured since then. So when I saw these shoes on Pinterest I knew I absolutely had to make a pair of my own. I decided not to use high heels because I don’t have much opportunity to wear them in my day to day life. And I knew these would be shoes I would want to wear all the time, shoes that would show off my geekery and general awesomeness. So off I went to Hobby Lobby and found some knockoff brand Toms (because why would you pay full price if you don’t have to?). Painting is one of my satellite hobbies, so I knew I already had what I needed in that department. 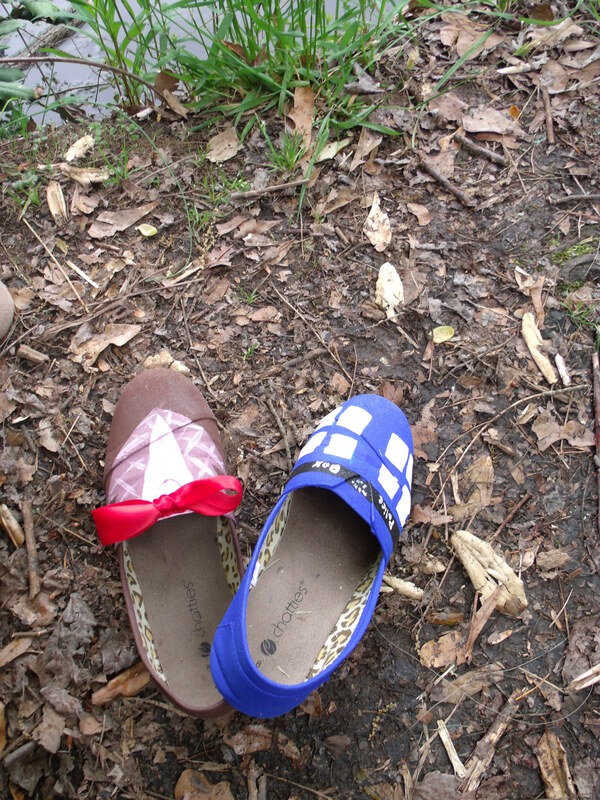 Several layers of paint, a bow (because bow-ties are cool), and a few days later, look what I’ve got! 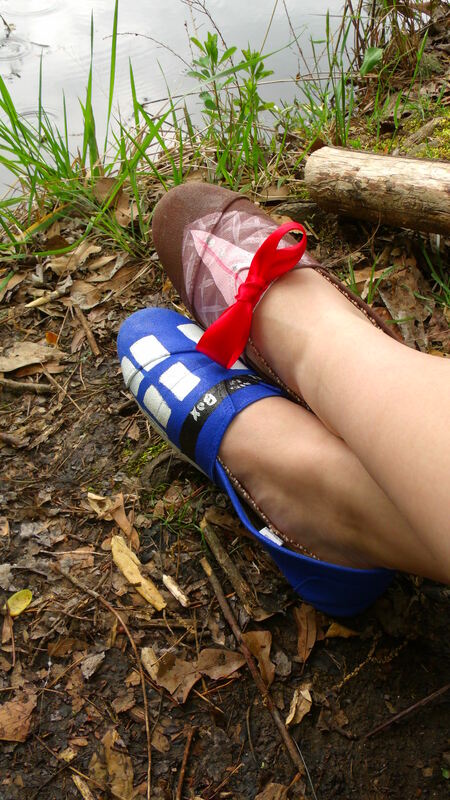 The most adorable Doctor Who shoes ever! I love them so much and they make me feel like I am a completely cool and awesome person. Really, they do. You should make some yourself so you can see how awesome they make you feel. I took them for a little ramble in the woods, and I honestly think that the mud they gathered makes them even more charming and happy. 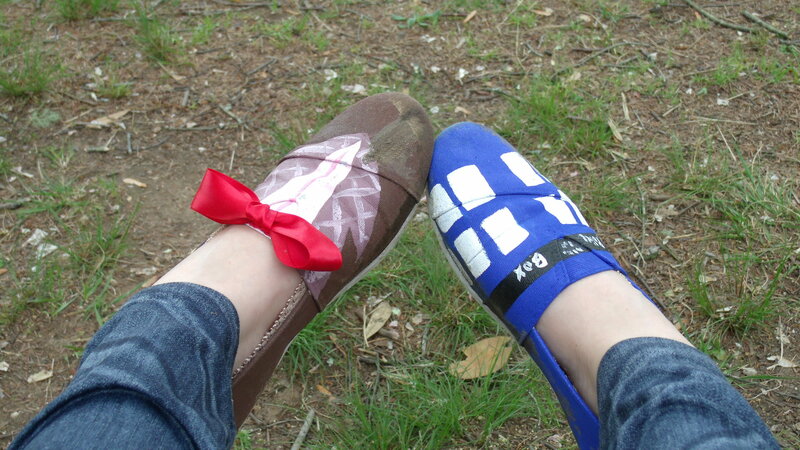 Long live the Doctor Shoes!